AFJ membership rates start at just $45 during the membership drive. We strive to keep our rates low so that we can remain accessible to a broad community with a shared intention: Preserving and perpetuating responsible food journalism across media platforms. If you align with this belief, complete this brief form and join AFJ today. AFJ is offering a special membership incentive from now through the end of the year. Join now or renew your AFJ membership and receive 10 percent off the annual membership fee. For just $90, receive access to AFJ membership benefits like discounted submission fees for the AFJ Awards Competition (entries due spring 2019), access to the AFJ membership directory and more. That's right, $90 for one annual AFJ membership — 14 months of membership for the price of 12. Can't argue with those numbers. In 2018, AFJ instituted a $20 fee for renewing members applying after the last day of February during the membership renewal period. AFJ membership rates are based on the calendar year. All 2019 memberships will be eligible for renewal January 1, 2020, regardless of when members join. Ready to make social media work for you? Everybody understands the importance of social media to today’s food journalists. But few of them understand how to make the most of it. One of this year’s conference sessions aims to change that. There is working on social media, and there is winning at social media. Jessica Pucci, Professor of Practice, Data Analysis and Audience Engagement at the ASU Cronkite School of Journalism, explores how to turn the former into the latter. Learn to move beyond treating social media as a delivery system for your stories, finding ways to engage your audience in an authentic and reciprocal manner. Discover which platform works best for you and your content, and learn to take the more important step of measuring the impact of your efforts through analytical tools that can help you determine how best to spend your time and energy. Learn to utilize tools like Google Trends, Facebook Audience Insights, Keyhole, RiteTag, BuzzSumo and CrowdTangle to maximize your impact through the use of advanced metrics, hashtags and social media tracking. Then learn to use free online tools to enhance your content with graphic design, data visualization, video and photo editing. Sure, you can Facebook. Now step it up. Check out the full conference agenda and list of speakers at afjonline.com. Thanks for this contribution from Dominic Armato, dining critic for The Arizona Republic and azcentral.com and 2018 AFJ national conference committee member. Registration for the 2018 conference in Phoenix closes on Friday, Sept. 7. Ready to save some cash? Join AFJ as a member today. Can't attend all three days? Check out the day rates, with prices starting at just $125/day. Make it easy to connect with other conference attendees by staying at our host hotel, the Sheraton Grand Phoenix. Click here to book your room now and receive AFJ conference savings via this dedicated link. Please note, our hotel block rate expires on Tuesday, Sept. 4. Are YOU the next AFJ Awards Manager? We are pleased to announce that we are hiring for the next AFJ Annual Awards Competition Manager. Personal referrals can be the best route for finding excellent candidates, so we are enlisting our highly skilled network (ahem, YOU!) to fill this position. This temporary, independent contractor gig is ideal for freelancers who have time in their spring calendar. We would like to fill this role before the new year, so applications are due no later than Friday, December 8th. Keep reading for the full description. The Association of Food Journalists is a professional organization dedicated to preserving and perpetuating responsible food journalism across media platforms. Annual programming includes the AFJ awards competition, which takes place every late winter/spring. AFJ is hiring a part-time manager for its annual awards competition, which was started in 1986 and is the oldest still-functioning contest for food journalists. The awards competition manager will work on a wide range of projects within the scope of the AFJ Awards Competition under the direction of the AFJ awards committee and the AFJ executive director. Be a recognized self-starter by colleagues. Be able to work efficiently and independently. Be detail-oriented and highly organized. Be knowledgeable and savvy with Microsoft Office and major social media platforms. Demonstrate a high level of confidentiality. This seasonal role will begin in January and run through the end of May. The amount of time spent in this role will vary from approximately five hours a week to up to twenty hours a week during the submission processing period. Based on a successful evaluation at the end of the role, there may be an opportunity to extend the position. ﻿The individual who fills this position will not be eligible to enter the awards competition, as he/she will be handling entries and communicating directly with judges. This is an independent contractor position and does not include benefits. AFJ is offering a flat rate of $2,500.00 that will be paid in three monthly installments beginning in February 2018. Based on a successful evaluation at the end of the role, there is an opportunity to receive a $500 travel stipend to attend the awards ceremony in Phoenix, Arizona in September 2018. Send a PDF of your cover letter, résumé and examples of your work (including at least two writing samples) as well as three recent references to AFJ executive director Amanda C. Miller no later than Friday, Dec. 8, 2017, afj.amanda@gmail.com. I've always had an affinity for literature and linguine so joining AFJ was a perfect fit. Although being a member is great, I wanted to immerse myself a bit more in the AFJ community and thought writing for its blog would be a great opportunity to do so. In anticipation of this Wednesday's Sound Bites webinar Food Writers in the Legal Jungle, AFJ Executive Director, Amanda C. Miller, and I worked together to interview our special guest Joy R. Butler. 1) How did you get started in the legal field? I’ve been practicing law since 1992. I’ve always had an interest in creative endeavors and performing arts. One way to merge my interest in law and my interest in the creative was to do work in copyright, trademark and related issues. A lot of my clients are involved in the media and creative industries so most of my work is transactional; I do a lot of contracts and advisory work. I might help them in all aspects of putting together a project; getting and protecting the idea; hiring people to bring that idea to fruition; entering into contracts for the financing, distribution and production of the idea; and protecting any creative work they may generate. 2) How often are you approached by food writers seeking legal counsel or advice? I’m very often approached by companies and writers in publishing to protect their rights. With respect to the food writers, there have been a handful of cookbook writers and food bloggers who ask for my counsel. 3) Do you think you haven’t been approached by more because they don’t recognize they need the counsel yet? A lot of people who are very creative in nature may not realize the business issues or want to be bothered by them until they absolutely have to be. Counsel on certain legal issues may not be readily available to them which is the reason behind some of the books I write. They provide background on certain legal issues to help others identify whether they need to seek additional legal help. 4) Why is it important to focus not only on the creative side of food writing but the legal side as well? It is important to ensure that anything they do on the creative edge isn’t violating anyone else’s work, copyright or trademark. 5) What are the most common legal roadblocks/ pitfalls for food writers? Ensuring no one infringes on your copyright nor you in regards to someone else. Making sure all your original writing and illustrations are protected. When writers collaborate with photographers or illustrators on a cookbook, for example, they should always know how to sort through who owns what. Many bloggers encounter “scraping” of their site and need counsel on how to handle the duplication of their content. 6) Other than recipes, what is considered intellectual property for a food writer? The big thing for a writer is text and visual artwork that you use in your book. Any original, creative work can be protected by copyright including text, illustrations, images, any original creation you write down or record such as transcribed interviews or cookbooks in draft or final form. If you wrote it down and it is original, it is eligible for copyright protection. 7) Do you consider yourself a foodie? I’m not sure what the definition of foodie is but if it is someone who enjoys eating, likes to cook, likes to try new food experiences, both as a culinary preparer and as a person who frequents restaurants, then yes, I’d consider myself a foodie! 8) The food scene is pretty hot right now in DC. What’s your favorite restaurant? With respect to restaurants, I thought that I probably do need to go out more because I can’t really name a favorite! I go to a lot of events that are frequently held in restaurants and that tends to be when I encounter new restaurants; I don’t usually choose them on my own. I also like to be very aware of what I’m eating. I’m definitely the person who stands in the grocery aisle for 10 minutes reading labels to make sure I get the yogurt with the least amount of fat. I like to know how my food is prepared and you don’t always know that when you walk into a restaurant. So unless I’m going to an event or some sort of networking get-together, you’re probably going to see me, when I’m not in my own kitchen cooking, at the salad bar in Whole Foods. 9) Alex Guarnaschelli, one of my favorite chefs and judges on Chopped, says that food is heavily tied to memory; what’s your fondest food memory? When it comes to equating distinct foods with distinct memories, feelings and moods, I don’t have anything original to say. I remember going out as a kid with my dad to lunch and I’d always have a grilled cheese sandwich. I don’t eat them as much these days but they always give me that nostalgic feeling. Joy R. Butler hosts the next AFJ webinar, "Food Writers in the Legal Jungle," on Wednesday, Oct. 25 at 1:30 p.m. EDT. Email afj.amanda@gmail.com to RSVP today. 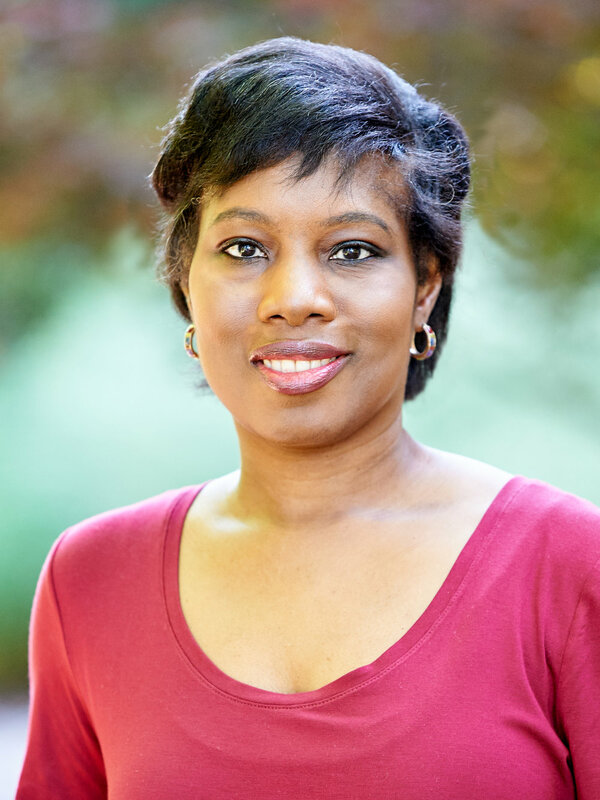 Kimberly Jackson joined AFJ in 2017. Follow her culinary adventures at eatandbemerrydc and on Instagram @eatandbemerrydc. This webinar will take place on Wednesday, October 25 at 1:30pm EST. RSVP to afj.amanda@gmail.com today. Joy Butler will host the next AFJ webinar, Food Writers in the Legal Jungle, Wednesday, October 25th at 1:30 p.m. EST. Email afj.amanda@gmail.com to join this presentation.